Royal Philips has agreed to acquire German imaging software firm TomTec Imaging Systems for an undisclosed sum. Based in Munich, TomTec provides intelligent image analysis software, specifically for diagnostic ultrasound. TomTec provides multi-modality and vendor-neutral diagnostic and analysis solutions, which can be used in cardiology, radiology, and obstetrics and gynecology (OB/GYN) applications. The acquisition will allow Philips to expand its presence in cardiac ultrasound segment, in addition to other clinical areas such as obstetrics and gynecology. Its software is used by around 20,000 physicians and 600 health facilities across the globe. Philips produces ultrasound solutions, which can be used in a range of clinical applications such as radiology, cardiology, point-of-care and others. 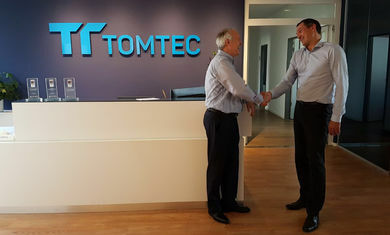 Established in 1990, TomTec carries out operations in the US, European and Asian markets. Philips ultrasound business group business leader Vitor Rocha said: “We are committed to providing ultrasound solutions that combine superb image quality with advanced analytics to drive efficiency and reproducibility, while reducing costs for our customers. In June, Philips agreed to acquire US-based vascular intervention and lead management solutions provider Spectranetics for around €1.9bn. Image: Royal Philips to acquire Germany-based TomTec Imaging Systems. Photo: courtesy of TomTec Imaging Systems GmbH.